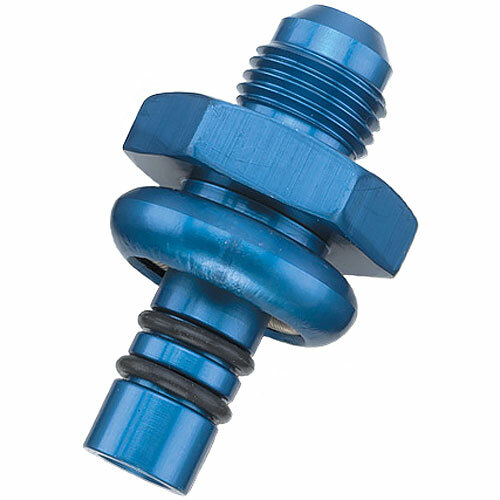 Adapts to the stock Ford EFI fuel rail fittings and allows either -06 AN or -08 AN fittings and hoses to be used. The spring lock and dual O-ring seal insures a positive seal under high pressures. They are direct replacements for OEM fuel rails and return line fittings in late-model EFI applications.